Jeannie Ho of Vancouver, BC, beloved wife of the late Berching Ho, passed away suddenly from complications of a longstanding illness on August 7th, 2018 at the age of 86 years. Jeannie came to Canada at age 19, met Berching in Vancouver and enjoyed a 60 year marriage until Berching’s passing in August 2017. Jeannie and Berching had limited extended family in Canada, but they built a large circle of friends and acquaintances over many years. Jeannie was known for her vivacious and positive nature which made it easy for her to connect personally with so many people and provide a ray of light to those around her. Her circles encompassed her interests of singing, painting, travel, and her 25 year career with BC Tel. As her health was failing over the past few years, social connections became her life and so she was well supported through her associations with the Crossreach Seniors Centre and Tapestry Seniors Living. However, after a brief hospitalization, she succumbed to pneumonia. She was fiercely independent and remained so until the end. Jeannie is predeceased by her husband, Berching, and her parents Yee Suk Quon Wong and Harry Dew Jung Wong. She is survived by her daughter Lenora Ho, son in law Raymond Nakamura, grand-daughter Risa Nakamura, sister Marilynn Halvorsen, and brother Buck Wong as well as numerous nieces, nephews and their families. 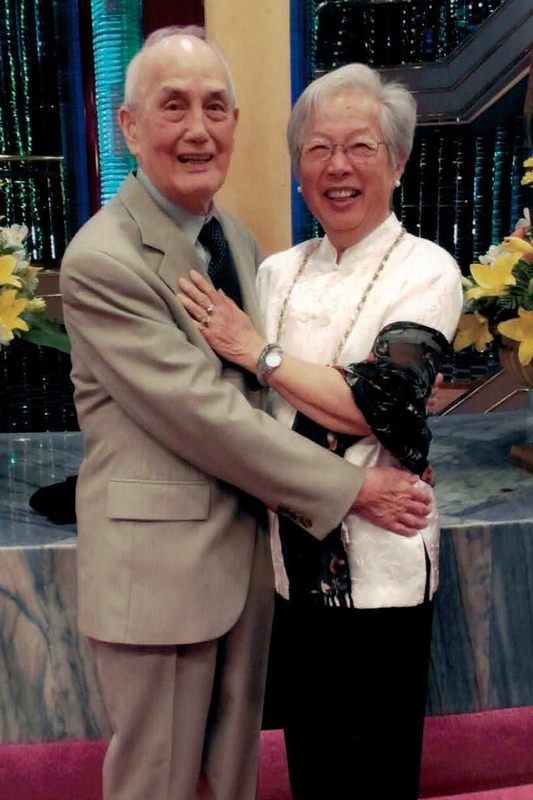 A private inurnment ceremony will be held for both Jeannie and Berching on August 31, 2018 at Forest Lawn Memorial Park, 3789 Royal Oak Ave, Burnaby. Flowers are gratefully declined. Those who wish, memorial donations may be made to Crossreach Seniors Centre, either at www.crossreachseniors.com or through the family.